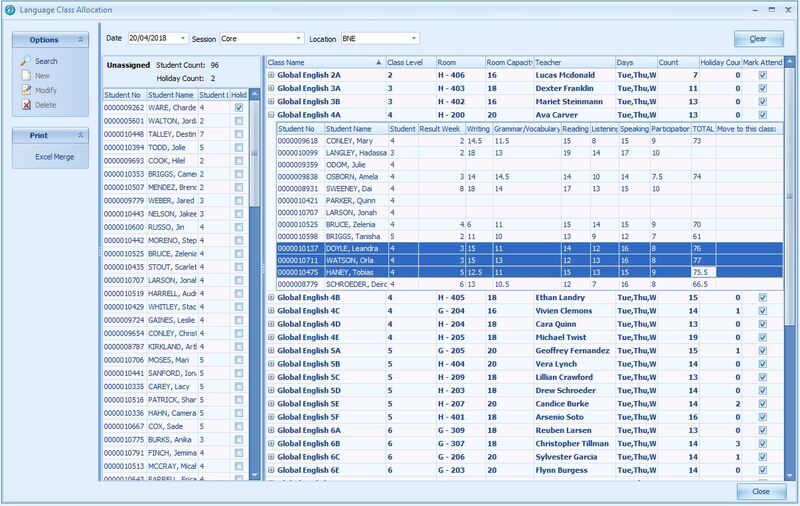 This powerful Classing tool enables you to drag and drop students from one Language Class to a different Class. The added benefit is the last entered Language Class weekly results are displayed for each student in each class. 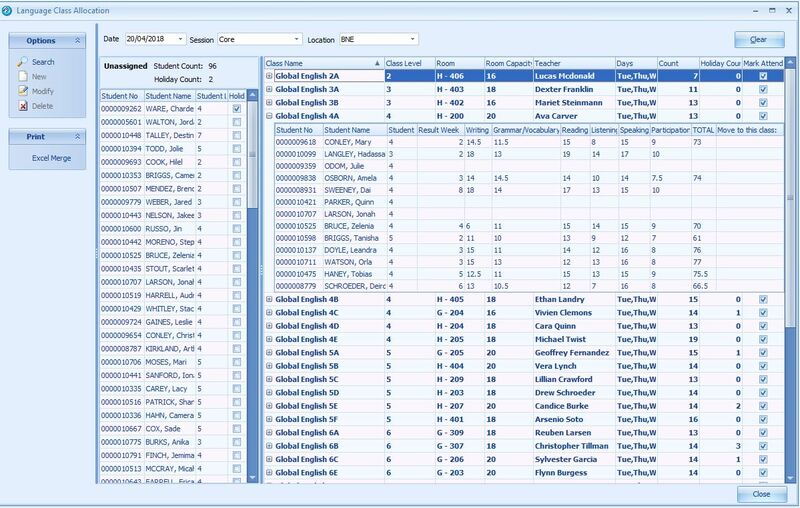 Student Class assignments are displayed for a Session, Location and week. On the left pane is the un-allocated students with the option to display the Pre-arrival test results in the grid. 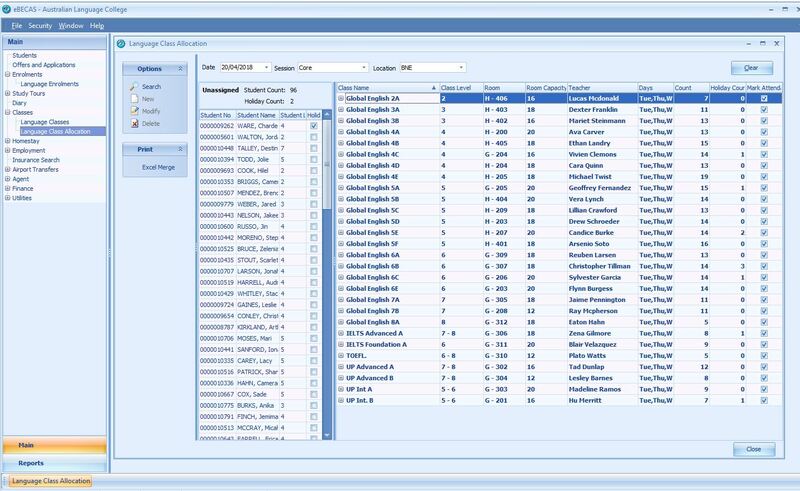 On the right pane is the students allocated to Classes grouped by Class. To expand and view the Class details press the + beside the class name. The Class details with the student’s last weekly results are displayed. 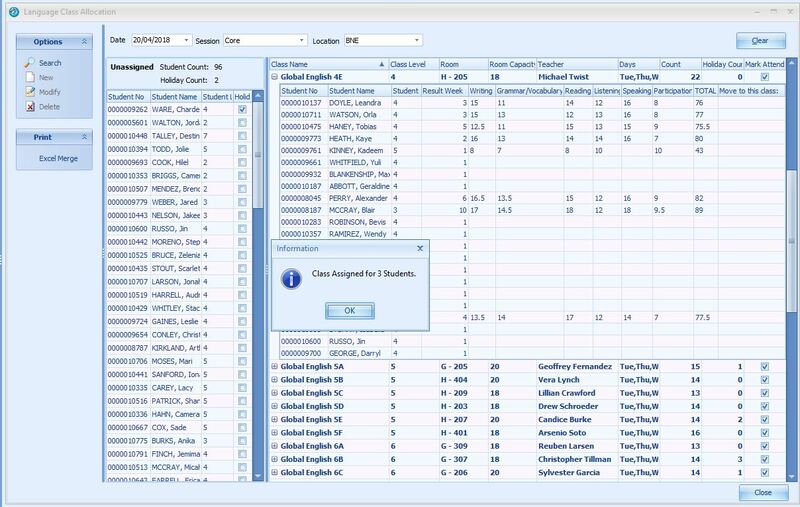 You can multi-select students listed in a class (mouse click while holding the control key) and drag those selected students into a different class or to the un-allocated list. Keep pressed the control key and move the mouse mouse drag the 3 to the Class you want to move them to and then release the mouse over the class you want to assign them to. The old and new allocations are instantly updated. In a similar way you can multi-select the un-allocated stduent and assign them to a class by drag and drop.